British Virgin Islands (BVI) is one of the most popular offshore jurisdictions in the world. The simplicity and availability of offshore financial services & companies for international business activity are main features of the jurisdiction. 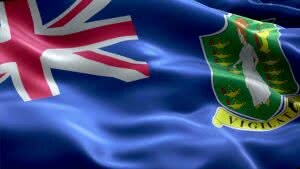 The British Virgin Islands jurisdiction is whitelisted by the OECD. What do you need to form a company in BVI? Business Companies that do not conduct commercial activity inside British Virgin Islands are tax free in the jurisdiction. British Virgin Islands Business Company (BVI BC formerly known as BVI IBC) needs to provide information about where the financial documents are kept. There is no requirement to file financial accounts in the BVI. A BVI BC is not taxable on income and is exempt from withholding tax on dividends, royalties, interest. It is also free from capital gains tax accrued from selling company shares and other securities. No tax is paid on inheritance and gifts with respect to company shares and other securities. No stamp duty is paid except on land property transactions. Note: BVI BCs’ replaced international business companies in the jurisdiction (BVI IBC) on 1 January 2005.
Business companies cannot own property in the BVI, except for instance of renting an office. Bank, insurance and trust activity is licensed. The BVI offshore companies laws were passed in 1984. In 2006 the number of registered companies was over 750 thousand, and in the year 2012 there were over a million formed companies. A BVI Business Company has the legal rights of a natural person. High confidentiality rules are applied to the information concerning beneficiaries, directors, shareholders, company register and documentation. BVI BCs must maintain regulatory restrictions on business activities and company name. Company meetings may take place anywhere in the world and also can be done via electronic channels. Shareholders may vote by proxies. Bearer shares are permitted but must be kept with a licensed custodian in BVI. A BVI BC has the option not to state its operational objects. The company records may be kept anywhere in the world. There are no filing requirements concerning financial records of the BVI BC. Re-domiciliation is allowed both in and out of BVI. BVI shelf companies are available.